STV e.V. 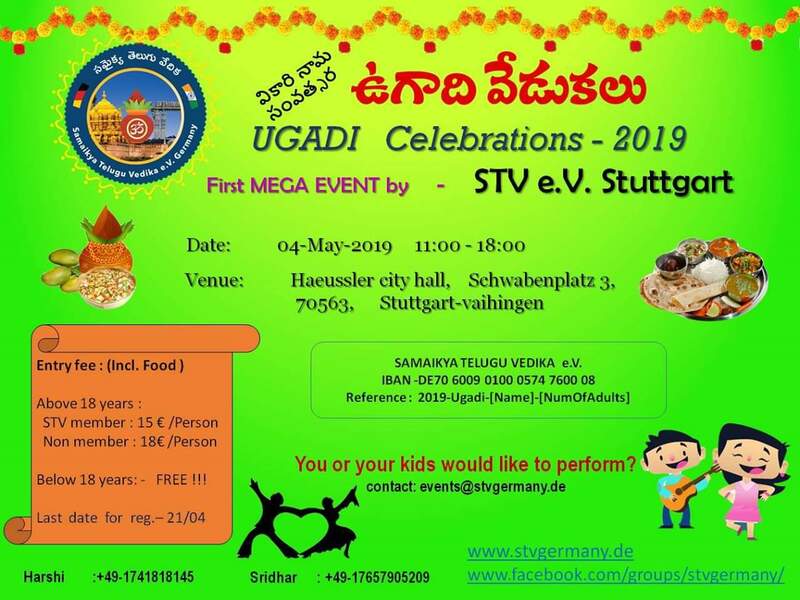 Stuttgart is planning to celebrate Ugadi -2019 fest on 4th May in City Hall, Vaihingen. Please block your calenders.